NRITARUTYA(Bangalore)is a journey embarked upon by a group of young dancers, each from disparate dance and martial art backgrounds which include Bharatnatyam, Odissi, Kathak, Contemporary Technique, Kalaripayattu and Taekwondo. 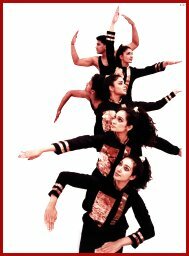 Rooted in the traditional but constantly exploring new avenues, Nritarutya is a troupe committed to the joy of dance. AND… is one of the team’s experiments, working with varied ideas and themes. AND… symbolizes the yoking together, the harmonizing of their disparate factors.